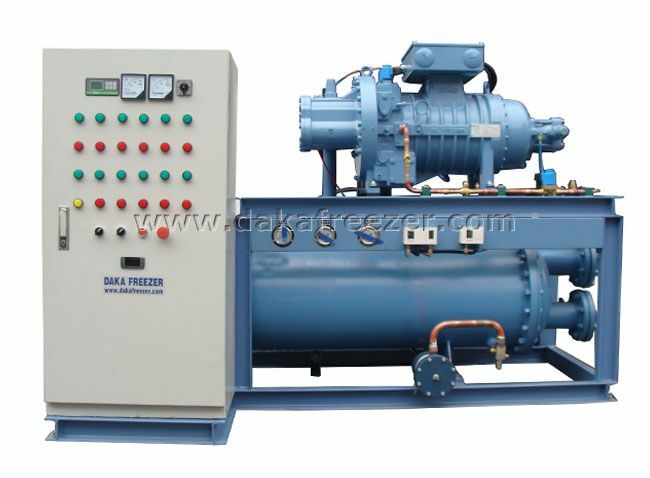 With Refcomp low temperature screw compressor. with high and low pressure protection,current protection. Suitable for cold storage and quick freezing. 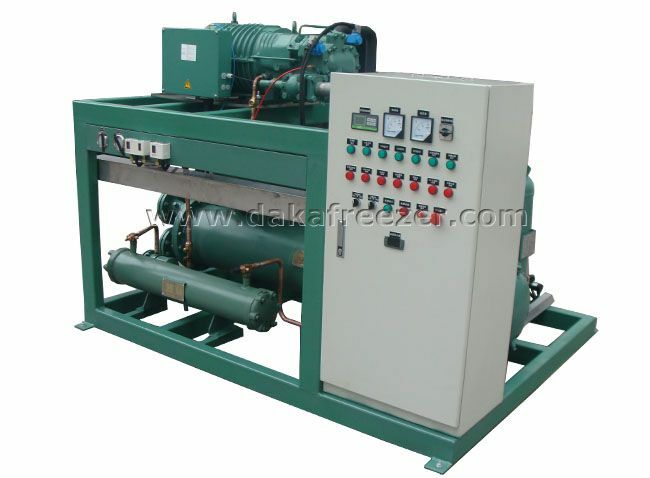 low failure rate, wide operating temperature range, etc. Single stage low temperature screw uint with ECO can be applied in the range of - 15℃ to -50 ℃, 2-stage unit can be applied in the range of-20℃ to -65 ℃, which are very suitable for large cold room, quick freezer, tunnel freezer, double helix tunnel freezer, alcohol freezing, low-temperature brine freezing, aluminum plate quick freezing device, industry refrigeration, etc. 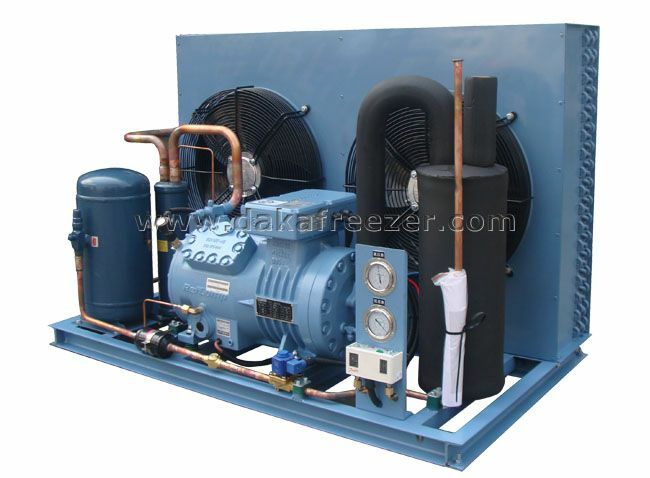 Our units can be designed for the actual demand, with heat recovery device, hot fluorine gas defrosting control, etc. 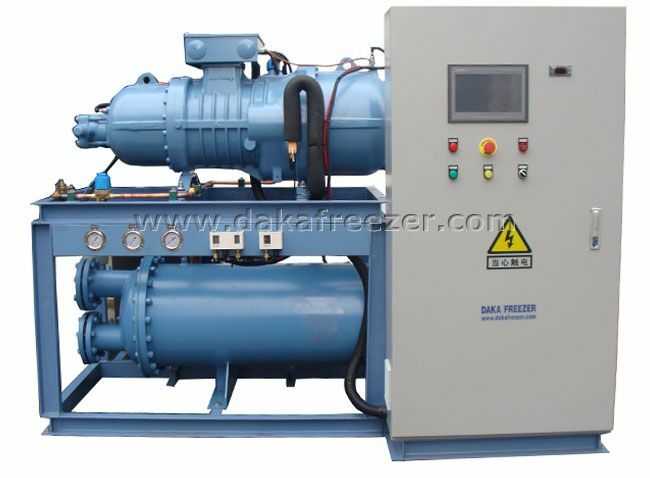 1.Bitzer, Hanbell and Fusheng semi-hermetic compressor achieve more efficient performance and longer service life. 2. Well-known pressure controller, solenoid valve, sight glass, filters, pressure gauges and other accessories. 3. 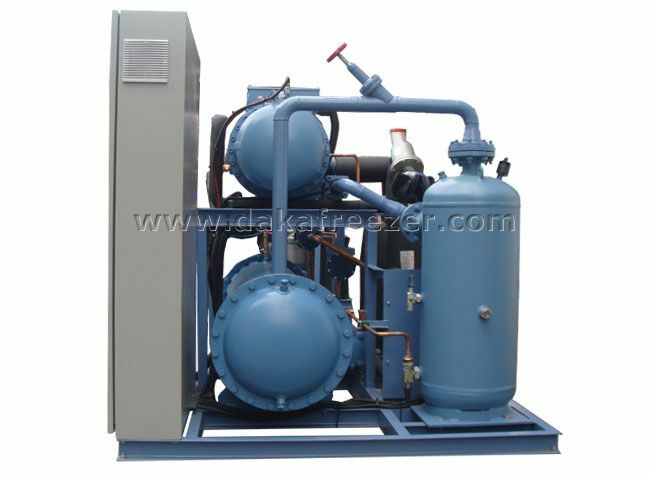 Wuhan Jianghche water-cooled condenser realizes stable performance and good heat exchange effect. 4. H/L pressure protection, overcurrent protection, steering protection, oil flow and oil level protection. 5. 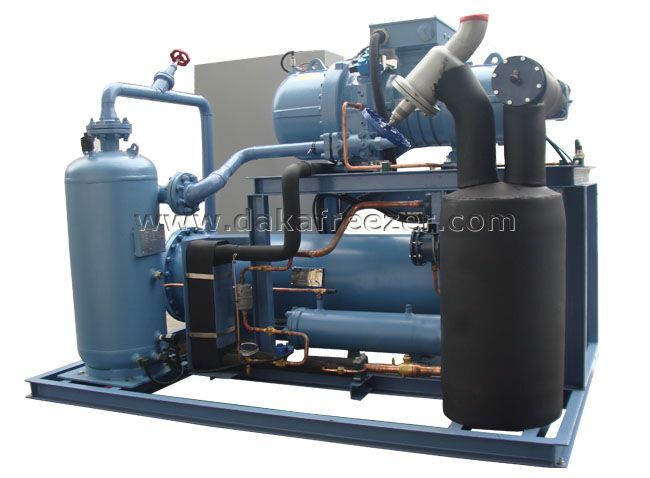 It is suitable for R22, R404a, R507C, R134a, R23 and other refrigerants. 6. It is applicable to cold storage, quick freezer,etc.